Following Imo’s Pizza’s recent move from its old location to 654 N. Market Street in Waterloo, passersby wondered what would become of the space at 646 N. Market Street. 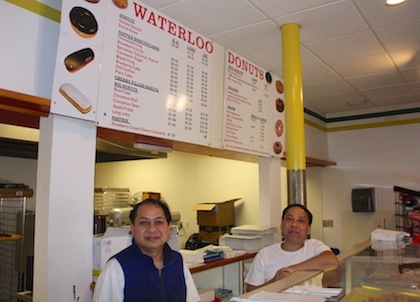 When Kosal In and Vichet Keo of St. Louis opened Waterloo Donuts in the space earlier this month, the wondering ceased. The two business partners will provide donuts and a variety of other baked goods to those looking for a treat during their morning commute. Using the same model as Waterloo’s longtime bakery, Ahne’s, fresh ingredients will be fried to make the donuts. Choices include glazed donuts, donut holes, chocolate and strawberry icing, cinnamon sugar, cherry filling and more. Aside from donuts, customers will have their pick of such items as bear claws, cinnamon rolls, apple fritters and kolaches. A kolach is a rounded pastry that typically holds fruit surrounded by dough. At Waterloo Donuts, the kolaches include sausage and cheese, spicy sausage and cheese, and biscuits and gravy. The establishment also carries coffees and juices. In said he has long anticipated opening the store, having signed a lease for the space last May. “I’m happy because I put a lot of money into it,” he said. Four years ago, In and Keo opened Donut House at 8500 Morganford Road in St. Louis. Keo said the number of donut places in St. Louis makes for a lot of competition. However, In noted that enough Waterloo customers asked for a location closer to where they live to justify opening in town. Waterloo Donuts will open at 5 a.m. daily, with a closing time to be determined. 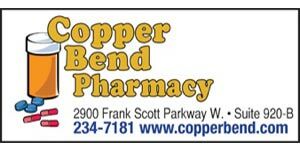 For more information, call 939-5558.